If you are someone that enjoys the ease of advertising items for sale on Craigslist you should be aware of the possible scams that are lurking involving prospective buyers of your merchandise. The Citrus County Sheriff’s Office has been experiencing an increase of reported fraudulent activity through Craigslist ads. 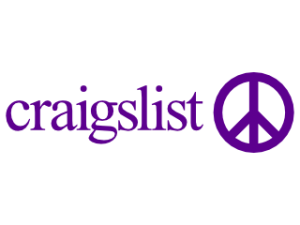 A Craigslist ad is posted by the seller which provides a description of the property to be sold as well as a selling price. A correspondence is initiated by a prospective buyer via email from what appears to be a valid email account. In most cases the purchaser makes some kind of excuse for not being able to talk to the seller via phone or in person and requests the correspondence to continue via email. The purchaser states that they do not live in the area and that if the seller would be willing to ship the items, they will cover the cost of shipping. The purchaser will then mail a check to the seller for an amount of money which is much more than the advertised price and shipping combined. The purchaser has included instructions with the check asking the seller to send back the remainder of the balance. In two of the cases, fraudulent checks from Lycoming College in Pennsylvania were received by sellers for the amount of $2,475. In one of these cases the listed merchandise was only $200. Contact was made with the accounting department at Lycoming College who was aware of the fraudulent check scam. They were advised the cases were mostly generated through Craigslist ads and are occurring across the country and not only in Florida. Lycoming College has made their financial institution aware of the scam. Iowa State University: $400 item on Craigslist = Received check for $1,950.27 drawn from Bankers Trust Co.
New York Power Authority: $600 item on Craigslist = Received Check for $2,780.99 drawn from Chase Bank. In all of these cases so far, sellers from Citrus County have tried to validate the checks prior to shipping any items which has resulted in zero losses. Authorities are concerned that citizens may be inclined to ship items to buyers upon receiving payments before realizing the checks are fraudulent. With fraud cases like these, the jurisdiction for prosecution lies outside of Citrus County and authorities can only provide an assistance report to the agencies covering the financial institutions and their customers. Individuals who are selling on Craigslist are advised that if it sounds too good to be true, it probably is. If you feel that you have had a similar experience, please contact the Citrus County Sheriff’s Office at 352-726-4488 or your local law enforcement agency.